Located on Massachusetts’ North Shore, SaviorLabs was born out of a passion to help organizations and businesses grow, mature, and plan for the future. We listen to you and make sure we understand your goals, and apply our expertise to developing and designing the applications that will help your business thrive. When not working, Paul enjoys watching science fiction shows with his family, caring for his two lovely Labrador retrievers, and spending time practicing woodworking and doing photography. Don has an Electrical Engineering degree and over 20 years of both hands-on technical and management experience. 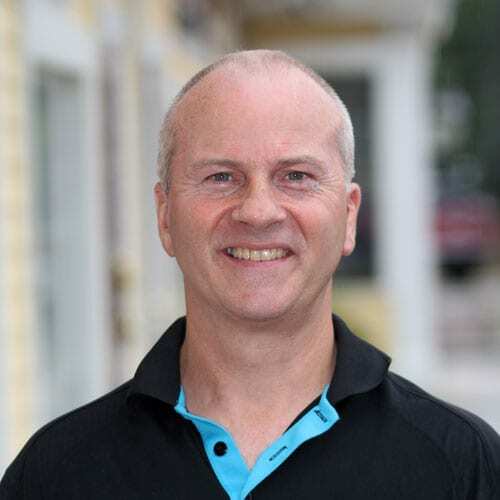 He has held senior level IT Management positions at many successful high-tech companies in the Boston area. He oversees our daily operations and is passionate about leveraging technology to help organizations meet their goals. Don is an Elder at his church and an officer on his local fire department. Dan is a Babson MBA who also studied Linguistics at Gordon College and brings a unique combination of social media and math. Dan has studied so many diverse things that he is ideal for bringing a fresh perspective to the table and always manages to ask tough questions. When he is not busy assessing tech trends and the stock market, Dan stays busy destroying all his friendships at the foosball table. Mohamed works on web applications and developing IT Managed Services at SaviorLabs. Originally from Morocco, Mohamed moved to the United States in 2010 to work on his Bachelor Degree in Computer Science, with a focus in Cloud Computing. While at Salem State University, he worked as a tutor for the math department, at the IT Helpdesk, and as Media Specialist for the IT department. Upon graduating, Mohamed worked as software engineer for Spreadshirt, Inc. Mohamed has shown an aptitude in mathematics from an early age, winning the Mathematics Olympiad for the greater region of his city and advanced to the nationals. During his time off, Mohamed enjoys playing soccer and cooking. Born and raised in New York City, Pete has a genuine love for people and technology. As an ordained minister, he spent most of his career as a pastor and campus minister. He holds a BS in Human Resource Management and a Master of Divinity from Gordon-Conwell Theology Seminary. He’s also worked for Apple as an Apple Certified Mac Technician (ACMT) troubleshooting and fixing computers and phones on both the hardware and software levels. Outside of work you’ll probably find him at the beach, on the basketball court, listening to music or playing his guitar. Read the most recent blogs published by members of our team. With in-house capabilities, we go above and beyond traditional media to create compelling interactions.